Used for minimal invasive surgery (laparascopy, endoscopy, arthroscopy), in its liquid phase, where it provides temperatures of down to - 76o C, for cryotherapy or for local analgesia by external application onto the skin surface. Used for advertising and as a component of breathing mixtures to reduce the density of the mixture to facilitate breathing under certain physical and physiological conditions. 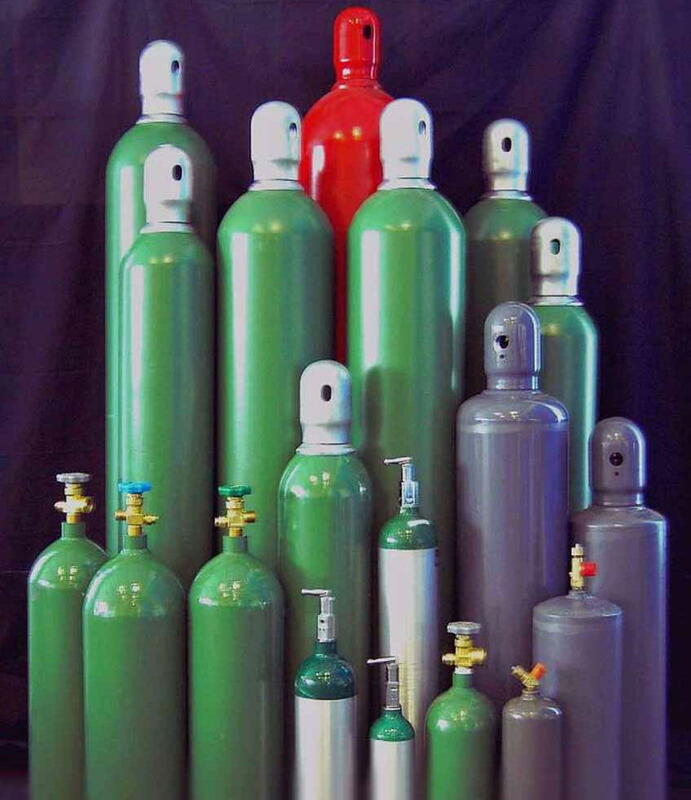 A complete line of laser gases, gas mixtures for use with lasers of all varieties. Lasers have become very prevalent as a more precise, less intrusive option for surgical applications. Used for pulmonary function testing. After a patient inhales the mixture, the exhaled breath is analyzed to determine how well the lungs have diffused the Carbon Monoxide in the gas. Helium is present in the mixture to determine lung volume (very low percentages of Methane or Neon may be used in place of Helium, depending on the instrument analysis method). Liquid nitrogen provides temperatures as low as -196°C and it can be used for cryobiology and cryotherapy. In cryosurgery, medical nitrogen can be used, for example, for minor surgical procedures such as the obliteration of warts in dermatology. It is also used as a component in many gas mixtures and as a displacement medium for sterile equipment, non-oxidizing displacement medium in pharmaceutical vials and as a propellant in pressurized aerosol dispensers. Medical nitrogen provides a source of pneumatic pressure for powering gas-operated medical devices and as a coolant for carbon dioxide surgical lasers. Used as an analgesic, often in combination with other agents for the production of anesthesia. Nitrous oxide is also used in cryosurgery. Used for home therapy and emergency applications, specialty's gas mixtures, during general anesthesia, hypo-barbaric oxygen therapy. To resuscitate or, in combination with other gases, to anesthetize; but also essential to life-support systems used in emergencies or long-term treatment of patients with respiratory disorders.